This award was established in 2010 to honour the tremendous contribution made by Mr. Stan Stenoff, affectionately known as “Mr. S.”, to children, coaches, and gymnasts at the (former) Etobicoke JC’s Gymnastics Club. Night after night, he gave up family time, poured his heart and soul into his gymnasts, and worked tirelessly to see ‘his girls’ achieve their dreams. Stan Stenoff sadly passed away in 2005, just a month after he had gathered all his former students for a memorable reunion at the Etobicoke Olympium. This annual award is to recognize an extraordinary gymnastics coach who unknowingly touches hearts and changes lives, as the beloved “Mr. S” did. The recipient of this award must have coached for a minimum of twenty (20) years. Recipients must be members in good standing of Gymnastics Ontario and have attained the appropriate level of NCCP and Risk Management/Respect in Sport based on the level of athlete they are coaching. Have strived to increase collaboration, communication, and cooperation within the gymnastics community. Nominations are to be submitted on the General Award Nomination Form. 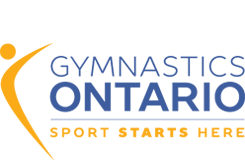 The nominator must also be a coach in good standing with Gymnastics Ontario; the second nominator is NOT required to be a coach. The nomination must be accompanied by a coaching profile that outlines how the nominee meets the award criteria. The recipient will be presented with an annual award at the G.O. Annual Awards Banquet. Recipients will receive two complimentary tickets to the Awards Banquet, and photos may be posted on the G.O. website (with permission by signing the Image Release Form).